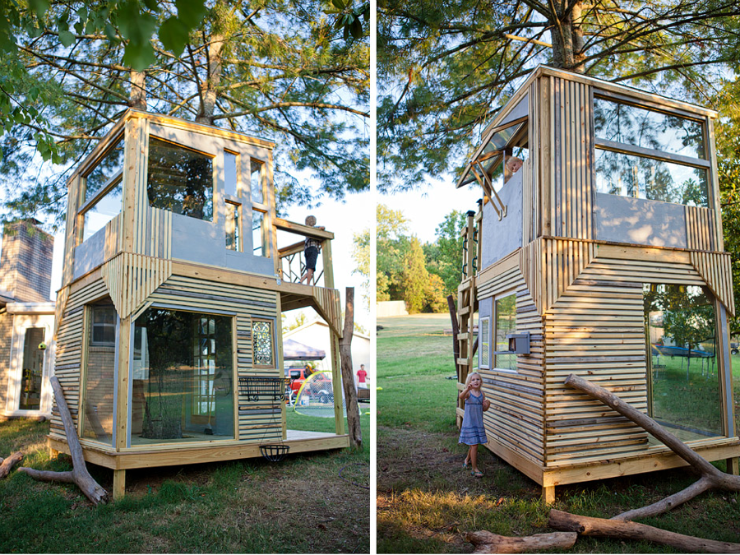 Full House: dreeeeems..AND the coolest treehouse ever. 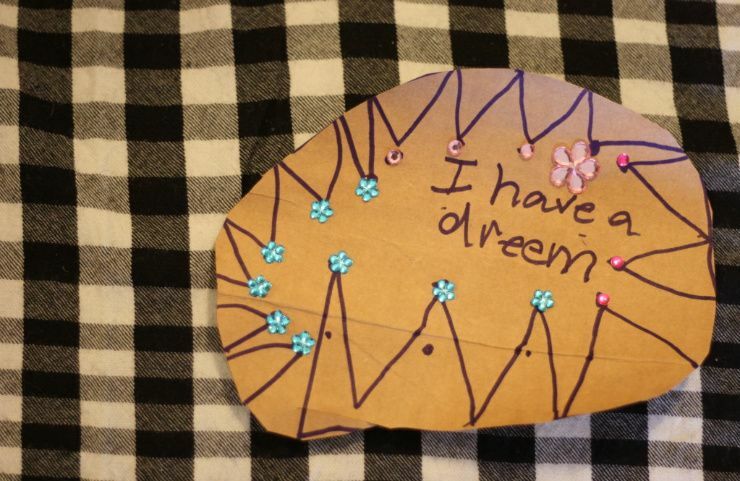 Apparently they are doing a great job teaching the kids at school about Martin Luther King Jr. because I have not said a word to my girls about the holiday today and Maren brought this little piece of art to the table that she had just whipped up before breakfast ...simply brilliant. 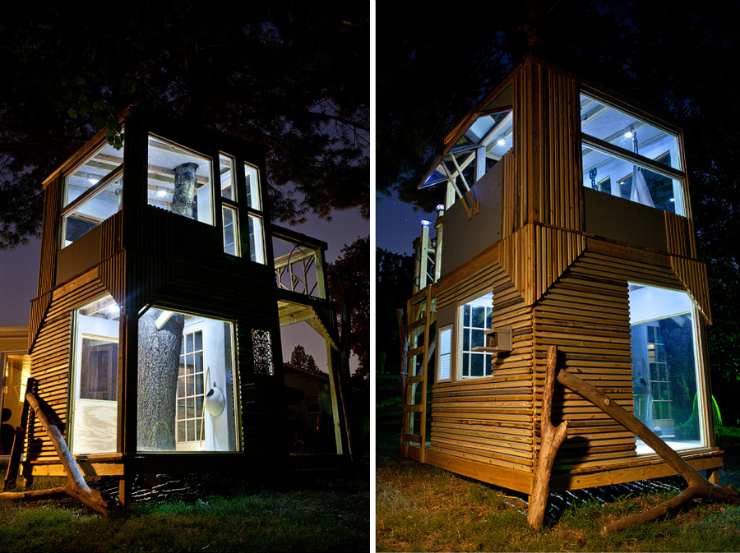 Speaking of dreems..how about the below treehouse. 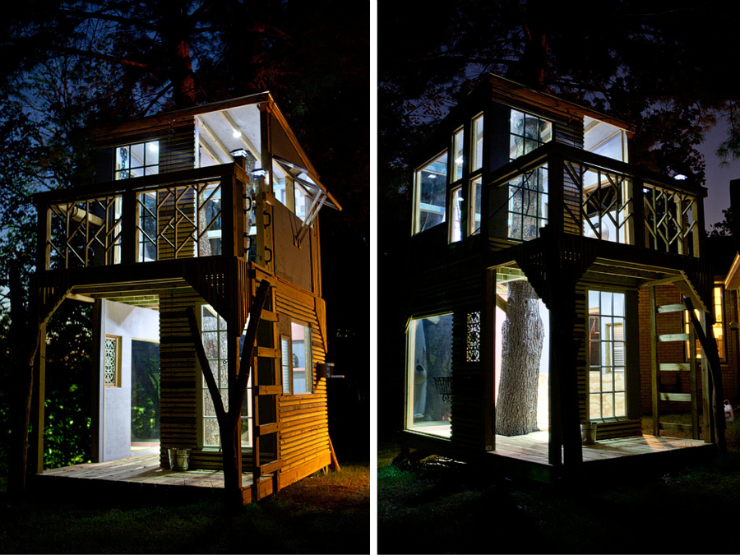 I have a dream that my husband would be a copycat to the below husband's brillant act of building the coolest treehouse..
OR in true Martin Luther King fashion I should just muster up the strength and pick up a hammer after I get myself some wood...or something like that. Did you notice all of the design detail? Love seeing the house at night too. 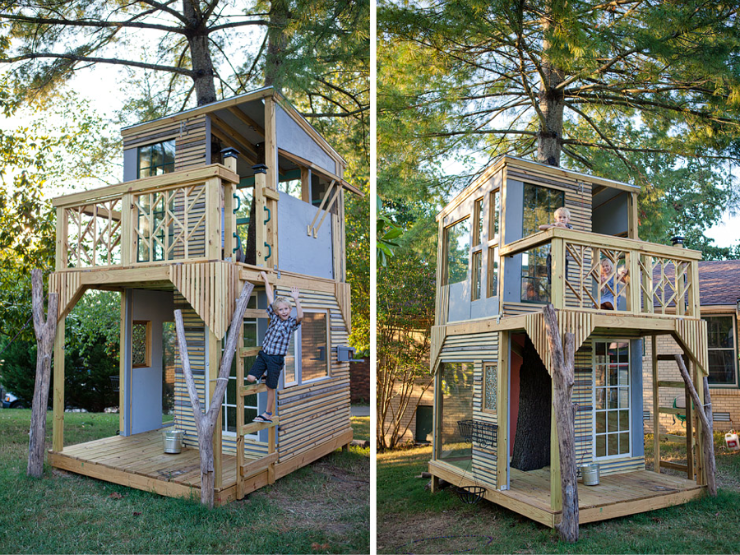 The makers of this treehouse can be found over on Eilas blog. There are also pictures of the different stages as the treehouse was being built. Well done. 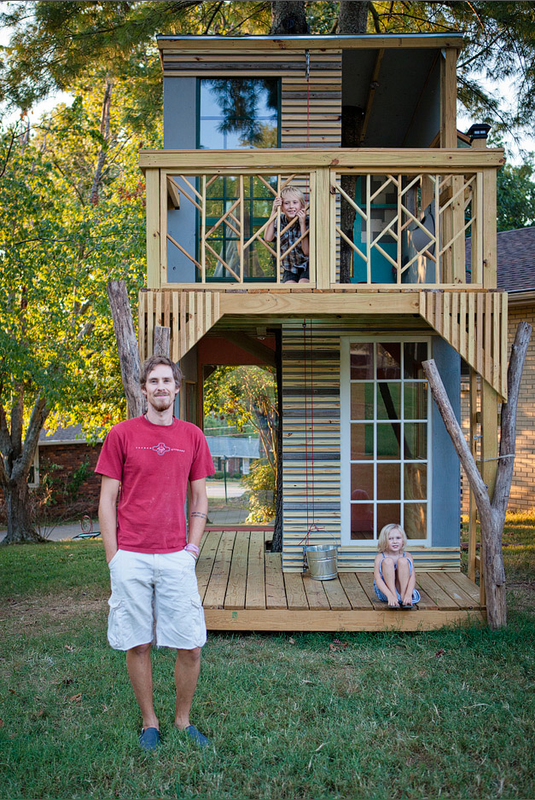 Thanks for the blog link, that tree house is amazing! And yes, I love that the design is so beautiful. Lucky kiddos! I second your dream but in my own yard. That tree house is awesome. Maybe we should show your dad. I've been seeing that float around all week. BEAUTIFUL. I loooooove this! I need to show it to my hubbin. I had never seen anything like it. You are right, it is super cool beacuse it is a two-storey house. Last year I was in a hotel in buenos aires, Argentina and they had built a tree house in the garden for the little kids to play in it. It worked and the children were actually insisting on staying in that place because it was different!